The historical relevance of the remains, allow to date back the city foundation nine centuries before, from medieval hypothesis origin to celtiberian period. 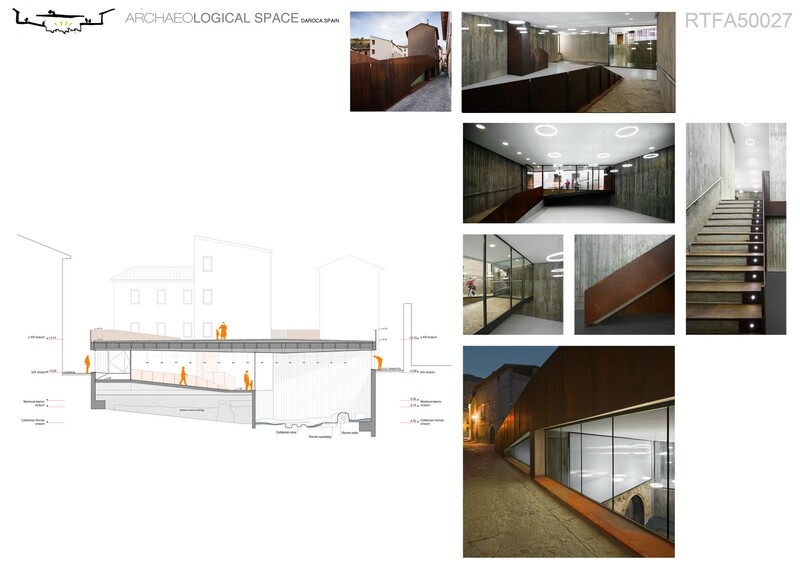 Due to this the institution promoted an ideas competition, with the aim to solve the relation between the initial need of a parking area and the presence of the archaeological finding, considering that this attitude could be an example for the private local promoters. 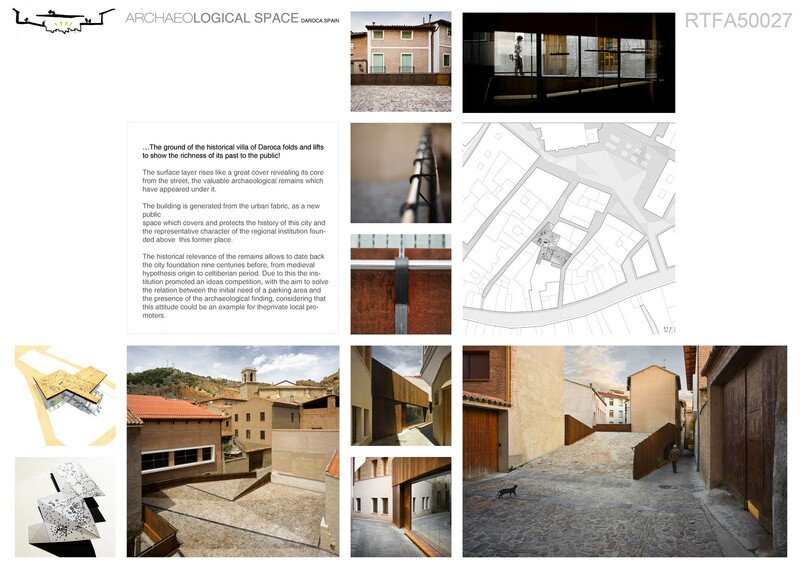 The winning project built a new public place in the village, understood as an overlapping of layers that belong to different times, since 2000 years ago untill now, where the relevance of them is not in each one but in their conciliated addition; as a museum opened to the street, that shows to the citizen the richness of his own past. 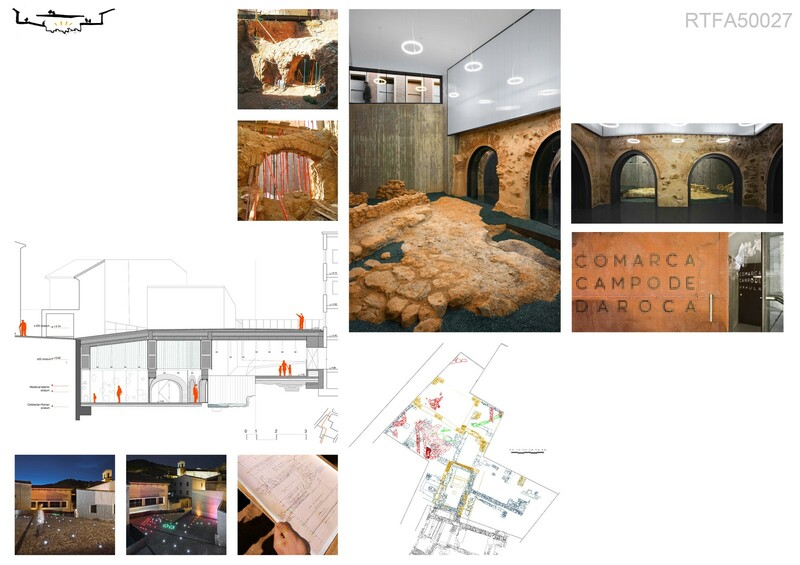 The new institutional programs established a rich dialogue with these historical structures, sculpting a multilevel space that generates a conference hall in the first level, a room for singular meetings into the space of archs and a little museum, as the treasure chest that contained the small pieces (ceramic, coins, etc.) founded in the excavation, both in the lower level. It is not a question of bringing the past to our time, but is about finding a way to live with it. A strong concrete shell protects the inside, and allowed to complete the excavation comfortably outstanding the perimeter forces. 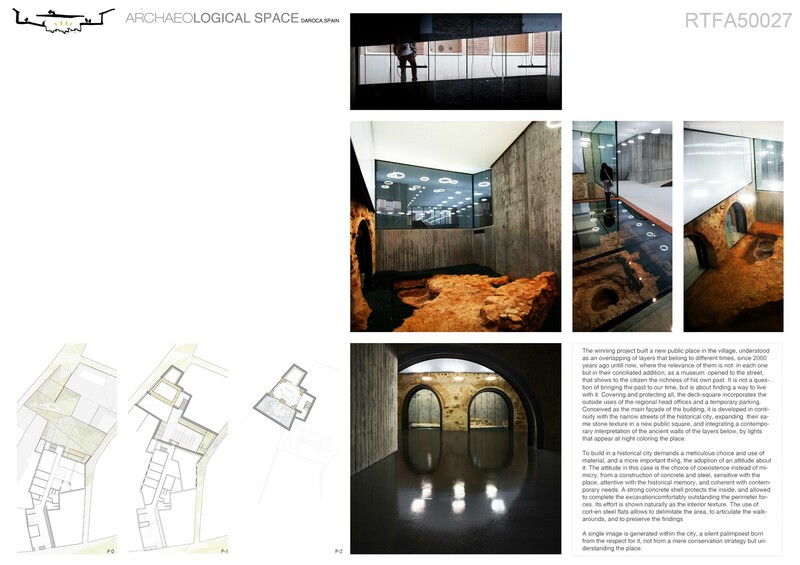 Its effort is shown naturally as the interior texture. Covering and protecting all, the deck-square incorporates the outside uses of the regional head offices and a temporary parking. Conceived as the main façade of the building, it is developed in continuity with the narrow streets of the historical city, expanding their same stone texture in a new public square, and integrating a contemporary interpretation of the ancient walls of the layers below, by lights that appear at night coloring the place. A precast prefab concrete pieces allows to liberte the spacce below from columns, producing a continuous space. At the edges of the square-deck concrete beams, reinforced with a conrten steel flat that acts as railing bence, solve the limits of the structure opening windows under them, to show the interior to the streets. To build in a historical city demands a meticulous choice and use of material, and a more important thing, the adoption of an attitude about it. The attitude in this case is the choice of coexistence instead of mimicry, from a construction of concrete and steel, sensitive with the place, attentive with the historical memory, and coherent with contemporary needs. A single image is generated within the city, a silent palimpsest born from the respect for it, not from a mere conservation strategy but understanding the place.